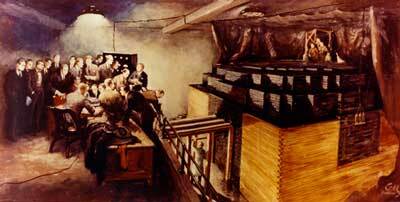 After 17 days of work, Enrico Fermi's group completes Chicago Pile-1. It contains 36.6 metric tons of uranium oxide, 5.6 metric tons of uranium metal, and 350 metric tons of graphite. Construction is halted sooner than planned when Fermi projects that a critical configuration has been reached.